CD]I love my Alfred Sung! No matter where I am someone will say you smell SO GOOD, what fragrance are you wearing. I have been using Sung for more years than I can remember and will never change! ]5GC]My all-time favorite! I have been wearing Alfred Sung for a while I love it]5AMK]Always SUNG!! I have been wearing Sung for over 20 years and hope to continue, please keep on the market!! Everyone compliments me on my perfume!! ]5LO]Love Alfred Sung!! I totally agree with the other reviews. This is a soft, lovely scent and the only fragrance I use. It is difficult to find in the department stores in my area. I rely on the Perfume Spot for my supply. The body cream has been out of stock for some time, so I'm hoping for an email alert when it becomes available. I hope it is never discontinued!! Love! Love! ]5Donna Wall]PLEASE DON'T EVER DISCONTINUE SUNG!! ALFRED SUNG CONTINUES TO GET RAVE REVIEWS FROM ALL WHO STOP ME TO SAY WHAT ARE YOU WEARING? IT IS MY GREAT PLEASURE TO WEAR ALFRED SUNG!!! ]5eleni]love my Sung! Like the others, I've worn only Alfred Sung as long as I can remember. What has happened to his wonderful body powder, can you carry it for us? ]5Dorothy Serna]Encore! Encore! Encore! SUNG by Alfred Sung. I have enjoyed this fragrance for years. I am a retired teacher. My students always told me they loved the way I smelled. Many women ask the name of my perfume. ]5Diamond Girl]It's for me!! I love sung and so does everybody else.no matter where l am somebody ask me what is that perfume you're wearing I tell them its called private stock just for me so they wont be smelling like me please don't ever stop selling sung]5Ljones60]The Perfect One! I was introduced to Alfred Sung in a Caribbean shop 20 plus years ago. It has been my signature scent ever since. Often people come up to me and ask what perfume I am wearing. Love my SUNG! It is getting difficult to find. ]5macryan]Bring Back Mei!!! Sung and Shi are my favorite fragrances by Alfred Sung and I want to continue to purchase these products. I want the body powder to be available again for customers to purchase, because that it is extremely hard to locate. ]5TheHomeBddy]Love it!!! 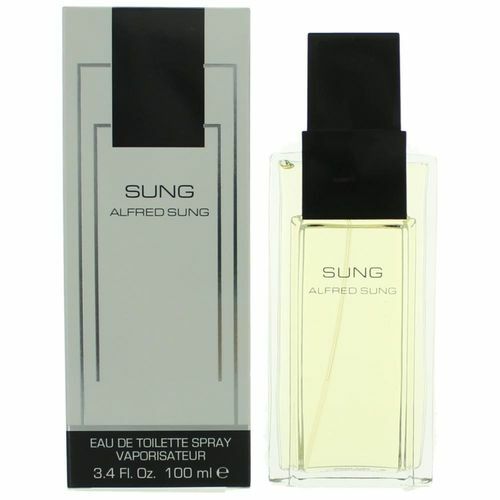 Alfred Sung is the best scent I have worn. I have been wearing Alfred Sung for over 20 years and someone is always says 'you smell so good'. ]5Karen]23 years later, everyone loves my cologne! I have been wearing Sung by Alfred Sung since 1994. Everyone loves, loves, loves this beautiful scent, and I will NOT change. ]5Lil]Where can I get PERFUME not EDT?